Game day is the best day of the week, and whether you’re a die-hard Kansas City Royals fan, a Nebraska Cornhuskers fan, a Hawkeyes fan, a Missouri Tigers fan, or a fan of another team, there’s no doubt that when the game is on, you’ll be ready to cheer on your team. At Party Trailers, we want to be there to help make game day an exciting experience for all! We proudly provide residents of Iowa, Nebraska, Kansas, and Missouri with one of our Party Trailers for a variety of events, including sporting events, weddings, corporate events, and more! If you’re looking for a way to make your tailgating experience one to remember, contact Party Trailers and check our availability for your next event! Watch the Game on One of Our Satellite TVs! Instead of inviting people to your home to watch the big game, why not throw a tailgating party with Party Trailers? When you hire us, you’re not just getting two satellite TVs to watch your favorite team, you also get a bathroom with hot running water, tables and chairs, canopies, a pellet grill, and more! Party Trailers gives you the opportunity to watch your game like never before! Gone are the days of gathering around one TV in a crowded living room. With Party Trailers, you make game day fun for everyone without having to worry about spilling salsa on the carpet. Hire us for your next sporting event today! Try Virtual Reality With Party Trailers! Have you always wanted to try virtual reality? With Party Trailers, now you can! In addition to everything that Party Trailers has to offer, our trailer also comes equipped with virtual reality headsets. Whether you’re in need of entertainment for your sporting event, wedding, or graduation party, Party Trailers brings the party to you. 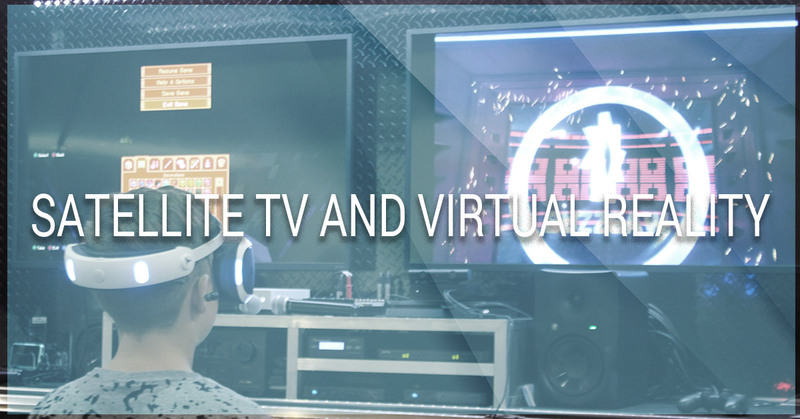 Virtual reality, karaoke, dual gaming systems, and satellite TV are just a few of the things that you will get with Party Trailers. To learn more about what Party Trailers can do for you, or to check availability for your next event, contact Party Trailers today! We proudly serve the residents of Kansas, Nebraska, Iowa, and Missouri, and we look forward to seeing you soon.